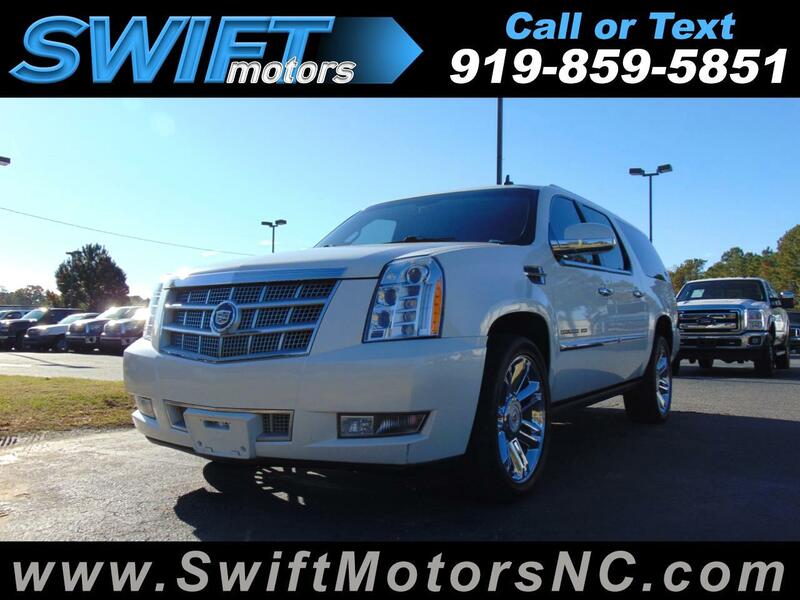 Used 2014 Cadillac Escalade ESV AWD 4dr Platinum for Sale in Raleigh NC 27603 Swift Motors Inc.
1 OWNER PLATINUM!! FULLY LOADED!! 1 OWNER PLATINUM!! FULLY LOADED!! NAVIGATION, BACK-UP CAMERA, SUNROOF, HEATED AND COOLED SEATS, POWER RUNNING BOARDS, SENSORS, DVD! !